I was not tagged to do this. It’s just Monday morning and this is a short tag. Why the heck not? I really enjoy book tags. I think I would enjoy them more if I had friends in the bookish community to tag me to do them. Maybe someday soon? Be my friends! 1. HOW DO YOU KEEP TRACK OF YOUR TBR LIST? I keep track of all of my books HERE. All the books with gray stars are books that I have not read yet. I use Tumblr for this because it does have the infinity scrolling and unfortunately it doesn’t work well with Blogger. 2. IS YOUR TBR MOSTLY PRINT OR E-BOOKS? I don’t read e-books. And so my entire TBR is print books. Granted, I may borrow the E-book of a book I’m currently reading. Just in case I’m somewhere where I can’t read my physical book. 3. HOW DO YOU DETERMINE WHICH BOOK FROM YOUR TBR TO READ NEXT? I have an app on my phone called Randomizer. It is an app that you have to purchase but it’s really cheap. I’ve been using this app most of this year and I feel like it’s a great way to make sure every book gets read. Unless a book comes out that I need to read immediately. 4. 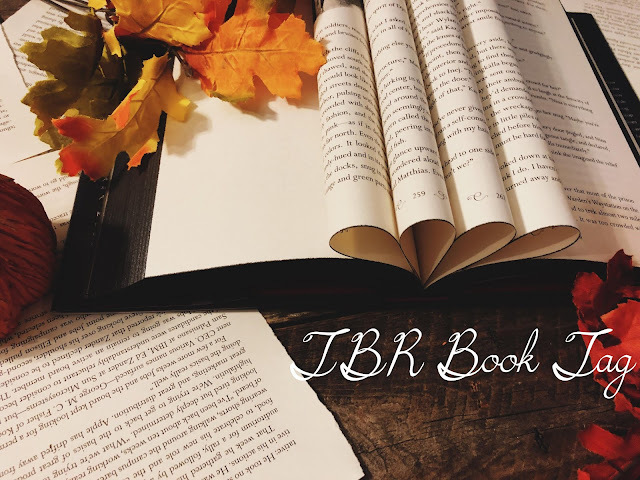 A BOOK THAT HAS BEEN ON YOUR TBR THE LONGEST? I add books to my TBR as I buy them. I seriously have books on my TBR that I bought back in 2016 and I have a terrible memory and so I don’t remember when I bought what. I’m pretty sure it has to be Bloodlines by Richelle Mead. I’m pretty sure I got this book close to it’s release date. Back in 2011. I don’t ever plan on reading it, I just can’t get rid of it because my grandma bought it for me. 5. A BOOK YOU RECENTLY ADDED TO YOUR TBR? The last time I bought books, I bought 18 all at once. I’ll just say one from the stack. An Unkindness of Magicians by Kat Howard. 6. 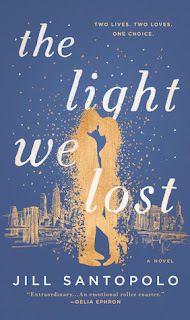 A BOOK ON YOUR TBR LIST STRICTLY BECAUSE OF IT’S BEAUTIFUL COVER? The Light We Lost by Jill Santopolo. I totally spent $20 strictly because I love this cover. I have a big problem. 7. A BOOK ON YOUR TBR THAT YOU NEVER PLAN ON ACTUALLY READING? Harry Potter and The Cursed Child. I am not interested. Nope. 8. AN UNPUBLISHED BOOK ON YOUR TBR THAT YOU’RE EXCITED FOR? 9. A BOOK ON YOUR TBR THAT BASICALLY EVERYONE HAS READ BUT YOU. The Assassin’s Blade by Sarah J. Maas. Yes, I know I’m reading Tower Of Dawn. Yes, I know this book will give you insight on other things that happen during this series. Why haven’t I read it? I hate novellas. 10. A BOOK ON YOUR TBR EVERYONE RECOMMENDS YOU. Everyone says to read the rest of the Three Dark Crowns series. I just wasn’t really into the first book and everyone says it gets better as the books go on. We shall see. 11. A BOOK ON YOUR TBR YOU’RE VERY EXCITED TO READ. The Darkest Part Of The Forest by Holly Black. Ever since reading The Cruel Prince, I’ve been dying to read more books by Holly. I’m currently waiting on my app to choose this book for me! 12. THE NUMBER OF BOOKS ON YOUR GOODREADS TBR LIST. Like over 2,000. I add every book I find sort of interesting on there. Which is why I don’t use that for TBR. I do use it when it comes to purchasing books though. I tag all of you lovely people who read this post! Please be sure to leave a link to you tag in the comments below!